Sixty Ruppert Landscape employees installed a sensory garden for students and faculty of the Southwest Baltimore Charter School (SBCS) Sept. 18. 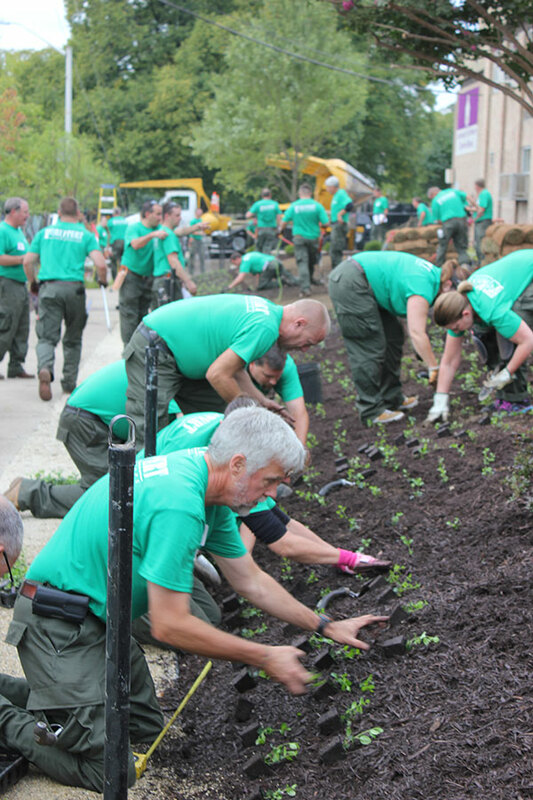 In total, nearly 300-production hours and $32,000 worth of time and materials was donated toward the project, which included demolition, excavation, grading and fencing work along with the installation of pavers, sod, perennials, grasses, groundcover, shrubs and trees. Educational placards also were installed. The landscape installation is part of an ongoing commitment to Baltimore’s Pigtown community, where one of Ruppert’s branches is located. The garden, which also serves as an outdoor classroom, provides students with a multisensory experience. Ruppert’s charitable giving extends beyond its Field Day, though. With five percent of its annual profit put toward charitable causes, the company has been recognized for its giving on annual lists such as the Washington Business Journal’s Corporate Philanthropy Awards. Plus, in 2008, the Montgomery County Community Foundation named Ruppert Philanthropist of the Year. Moreover, the company will hold its community service initiative known as Field Day Oct. 10 at Carroll Park, also located in Pigtown and situated adjacently to SBCS. “We settled on Carroll Park as the location for the event on Oct.10 because we felt like there was significant need in the community and there was a commitment to its ongoing maintenance,” Ruppert said.